Zero – is the number of runs Stuart Broad conceded in the Kolkata Test, which has been his best performance in test cricket for a while. It is also the number of Indians who anticipated a 2-1 score line in England’s favour going into the Nagpur test. It is also the number of test matches Australia, for all their effort, could win against the Proteas at home. It is also the number of 50+ scores that Chris Gayle registered in Bangladesh, against Bangladesh, across 3 formats in 10 innings. It is also the number of test caps that Manoj Tiwary, Ajinkya Rahane, Rohit Sharma and Ravindra “3 300’s”Jadeja have. Absurdly, astonishingly, the last name on that list seems to be the frontrunner to play his first test, ahead of the other three. Finally, zero also happens to be the number of blog posts I have written over the past 4 months. Seeking inspiration from Kevin Pietersen and his seamless reintegration into the English side, about which I had written in my previous article all those months ago, I decided to reintegrate myself with my blog and hope it goes as well as it has for KP and the English team. Otherwise, I can always retire like Shahid Afridi, which ensures that I can give you a false feeling of relief and then decide to come back whenever I want to. Now to say that things are wrong with Indian cricket is akin to saying Barack Obama is the president of the United States of America or that Ravi Ashwin is India’s most consistent test batsman. It is a fact, it doesn’t need reiteration. Everyone has an opinion on what is wrong and how sacking or replacing one or all of Dhoni, Fletcher and Sachin will put an end to this rut. It may work out that way or it may not. The problem here is that these are all temporary solutions. They may, for now, arrest the slide but it certainly will not halt the decline. Technically, for me, these are top-down solutions. What we really need is a bottom-up solution. We need to stop this rut right at the base, from where it all actually begins. While everyone has highlighted the problems and slammed the concerned stakeholders, very few have actually suggested possible solutions. With my limited knowledge and understanding, I will try and highlight where and how it all actually begins and where it needs to be sorted. The structure of domestic cricket is the root cause of almost all the problems that cricket, especially test cricket in India faces. Our domestic structure is simply not equipped to produce world beaters. India has produced innumerable talents over the years, but not too many of them can be credited to first class cricket in India. If you need a proof, look no further than the latest selection for the Nagpur test. Harbhajan Singh, who did not even play the Kolkata test, was dropped and his replacement Piyush Chawla, who is not even close to being in the top three first class spinners this season, will now be the third spinner in the India squad. Piyush Chawla, in fact, does not even feature on the list of the top 47 wicket takers this Ranji season so far after 5 matches. It is baffling and worrying in equal measure. It simply indicates that we do not have good quality back up spinners and if something goes wrong with Ashwin or Ojha on match eve, all we are left with is Piyush Chawla who is struggling even in domestic cricket. If that doesn’t worry you, nothing ever will. Ravindra Jadeja is in great form but I don’t know how triple hundreds against Railways and Gujarat on flat tracks can be a yardstick for him to face up to the likes of Anderson, Swann, Finn and Monty. No disregard for him, scoring a triple is no mean feat and he has got two of them this season, but he is a player who has been tried at the international level in ODI’s and T20’s and has not tasted success there as well. So what are the chances of him succeeding at test level? The blame here is in no way attached to Chawla or Jadeja as they do not control the selections, but the blame here is on a domestic structure that produces flat tracks at almost all venues and encourages a team to just chalk out a first innings lead and feel secure. It leads to matches like Maharashtra vs. UP where Maharashtra batted for over 2 days, declared on 764, and UP were stranded on 669 going at nearly 4 an over but still falling short of time to actually overhaul Maharashtra’s total. Such matches are not contests between bat and ball, like cricket ought to be. It takes the bowlers out of the equation and becomes a run fest. In such conditions, in this first class structure, why would anyone want to try and be a bowler? You are certainly much better off scoring a 300 individually, rather than conceding 300 individually on such tracks. Till our first class system doesn’t prepare sporting tracks and encourage a contest between bat and ball, we are never going to win test matches at home or away from home. Ultimately, irrespective of how many runs your batsmen score, the bowlers have to pick up 20 wickets for you win a test match and in the current scenario, we are a long way away from achieving that. It is far from ideal, that a 34 year old bowler, who is past his prime and almost a liability on the field, is still your spearhead and your best attacking option. Sporting tracks which offer something to the bowlers, even contests between bat and ball, more result oriented matches and a points system with batting and bowling points like County Cricket that encourages fair contests rather than the current first innings fiascos are the way ahead if we have any ambitions of going back to the top of the world test rankings. To produce cricketers who want to emulate Kapil Dev, Srinath, Kumble, Zaheer Khan or the likes of Steyn, McGrath, Ambrose or even Warne, we need to provide conditions that are conducive for them to prosper; not highways or featherbeds where they will be mauled day in and day out. Another area that needs some desperate attention is the India A team and the India A tours. The real secret of building the best side in the world is not to have the best 11, but to have a pool of about 20 cricketers who are ready to play or step up to the rigors of Test cricket when called upon to do so. That requires a strong development and high performance program which mentors and monitors the “A” team or those next in line, to be ready to step up when the opportunity comes knocking. Again the England set-up with their performance program, the England Lions squad, could be worth emulating. They are always on tours with the senior side and are exposed to a variety of conditions and given the best environment possible so that they can thrive in international cricket when the opportunity arises. Here again, like in the case of the points system, I am not suggesting we blindly ape what other nations do, but if there is a lesson to be learnt, it should be learnt and applied for the betterment of the game. The India A team recently toured West Indies and New Zealand but the selections and the inconsistencies were so perplexing that it defeated the entire purpose of having an ‘A’ tour in the first place. India’s highest run scorer in the previous Ranji season, Robin Bist was given an opportunity to play only the third of three matches against West Indies 'A' and was subsequently dropped for the NZ tour. Abhinav Mukund, after returning scores of 0, 0, 8, 8, 10 and 20 in West Indies, was named captain for the New Zealand tour. What message was being sent out and what was the thinking behind such decisions, is anybody’s guess. The way Nick Compton has stood up against the Indian attack in India is a very strong advert for the county game. Yes he has not scored a 100, but he has rarely looked out of place when opening at test level in completely alien conditions. I daresay Cook’s opening partner was a big concern for England before the tour but Compton has allayed all those fears. Yes, it is down to the individual’s grit and hard work but I am sure those heaps of runs in county cricket, season after season have a lot to do with his success at the highest level. If you want to know how much we trust our first class structure in India, ask two people who have scored those heaps of runs just like Compton or a Mike Hussey in first class cricket – Badrinath and Manoj Tiwary. A first class average of 60.57 over 110 matches and 59 over 63 matches respectively, is still not enough for either one to earn a call-up to the squad, let alone play a test for India. That is how much our selectors value first class performances. Unless corrective measures are taken, really fast, the crisis is only going to get worse. As Harsha Bhogle recently said in one of his columns, “These are worrying times. The cupboard is not bare; it is empty.” All is not lost though, if steps are taken to fill it once again. In the next part of this piece: The administrative problems: the schedule, the IPL, the selectors’ role, captaincy and the lack of communication. Like a certain tall, brash, tattooed gentleman had done from limited overs cricket, I had decided to retire from blogging so that I could spend more time with my family and also because I thought I should now use my time to do something that gets me more money and appreciation than blogging. Since blogging pays me nothing and one individual can have only that much talent, I decided to try and utilize it for what you would call ‘greener pastures’. I did call a press conference to announce my retirement which no one, including myself, attended because the journalists were busy with trivial matters like the Olympics, the U-19 Cricket World Cup, Roger Federer, Robin Van Persie and so on. But with time away from the spotlight, while I saw lesser mortals hogging the limelight, I asked myself, “Is this what you want to do? Is this what you are happy doing?” At that point, the recently famous ‘Inner Voice’ told me, “No, the limelight is what you are meant for. Others are not good enough. The fans love you. They want to read your blogs,” and that did it for me. I decided to make an unconditional comeback, to where I truly belong. So, for the greater good of my fans and the world in general, I posted a video on YouTube, carefully making sure that a lighted stick of Cycle Agarbatti is in frame with me and my never-working MiroMax phone is firmly in my palm for all to see (you can never ignore the brands that you endorse, they make you who you are). In that video, I owned up to my mistakes, announced my unflinching loyalty to this blog and set myself up completely and unconditionally, to return to what I love doing (though I will have to watch the video again to check if I used the word ‘Sorry’ in there because I can’t recollect having used it and honestly, I didn’t see the need to do it). Believe me, the video went viral. When I last checked, it had more than 50 hits. Do not get confused. Hits here mean the number of people who hit their screens in despair after watching the video. A couple of them also actually came up to me and tried to hit me in person, but that’s a different story. Along with so many ‘hits’, it also had about 40 dislikes. Damn YouTube for giving that option, but then again everyone has their fair share of critics and I have mine too, so fair play to them. I also suspect a few of my competitors, who were elated by my disappearance, may have a hand in those dislikes. So let’s see what those in authority do about it. I have always been my own person. I have had my issues with those in power. My employers, who pay me nothing to write this blog, feel that I am too demanding. But given the kind of talent I have, I think I am well within my rights to make a few demands. I am their most talented, best-looking and maximum ‘hits’ generating employee. I feel these are reasons enough for them to give me some special treatment, but apparently they don’t think so. Out of frustration, I texted an old friend cribbing about how thick-skinned and adamant my bosses are. God-knows-how my bosses came to know about it. You can’t rely on friends these days, and of course, not to mention the blood-thirsty media. You see, it is very tough being me. This is a no-good situation and I want to end this soon. I may have been unreasonable and I said ‘Sorry’ (yeah, believe me I did). They know I am the best they have, they have suffered in the past few weeks without me and the downslide has begun. One of the bosses (the one I joked and cribbed about) is about to step down. I knew he would, it was inevitable. The signs were telling. I am ready to go back, kiss and make-up, put the past behind and start the resurge for them and for myself as well. On second thoughts, no kissing but I want to be back all the same. I know I can get the fans back, just like the old times because on my day (or any day actually) I am, at the cost of sounding brash and against my imbibed humility, probably better than all of them put together. Oh! I think I should not have said that. I may have to face some action all over again, even though what I said is true. I am their favorite scapegoat. I am the proverbial and the perennial bad guy. You see, I told you, it is tough being ME! Can Bhajji spin it MI's way? Unpredictability: You can’t be certain who will open with Sachin. You can’t be certain who will be the fourth overseas player. You can’t be certain if Bhajji will bowl his 4 overs. You can’t be certain of who amongst RP/Munaf/Dhaval/Nechim/Ojha will play. You can’t be certain of who will be the next one summoned by the match referee (is there anyone actually left who has not contributed to MI being last, and deservedly so, in the fair play table? Sachin, I guess). You can’t be certain of anything at all. And precisely that, adds an element of surprise for the opposition as much as it does for their fans. It may just work in their favor. Pulling off close wins: Despite all the unpredictability and inconsistency, they have managed as many wins as KKR. They have been involved in a lot of tight finishes and to their credit, have been able to pull off most of those. The remaining games will be closely fought and they have made it a sort of a habit of winning these games. That should hold them in good stead. Unpredictability: Unpredictability is good as long as it is not within the team itself. They have been very inconsistent with their performances. They have won some games that could have really gone either way and had those games gone the other way, they would have struggled. They need some real consistency from here on in, to claim the coveted trophy. Team Combinations: They have played 16 full games this season so far and they do not know their best 11. May it be amongst the Indian bowlers or their overseas pros, they simply can’t figure out their best combination. That is a serious issue. They need to pick a steady combination and stick to it for everyone within and outside the group to feel settled as well. The Pollard Puzzle: When you have as destructive a giant of a player as Pollard, why not utilize him? They haven’t been able to use him to his optimum best and get the most out of his explosive abilities. The failure to decipher this puzzle led to Mumbai’s downfall in the final of IPL 3. It’s been two seasons since then, and the think-tank still continues to ponder over the puzzle. They have won the champions league by beating Chennai, they have done the double over CSK this season (a comprehensive win in the opening match at Chennai and Dwayne Smith’s 14 off the last 3 at the Wankhede). So they have the slight psychological edge over CSK in the eliminator. They also have the opportunity to avenge the loss of the IPL 3 final. Sachin has the perfect opportunity to express himself, play with freedom and inspire the side to victory. On paper, they have the best and most well-rounded bowling attack in the IPL. The batting is not too behind either. The owners have left no stone unturned to put together a very good unit with depth in the squad. They have had the best and shrewdest auction buys to go along with the transfers of Dinesh Karthik and Pragyan Ojha. Its time they repay their owners with the ultimate prize. They surely have the ammunition to pull it off. The only question remains, will it fire or back-fire! Quite often, in any scenario in life, the biggest threat comes from within. The case with MI is somewhat similar. They need to overcome their inconsistency on the field; otherwise it could lead to their downfall. To add to that, right now their biggest threat stems from CSK. The Super Kings have been there, done that and the way they have sneaked in, they have nothing to lose. In a situation like this, like wounded tigers, CSK will be at their most dangerous. Mumbai will have to be at their absolute best to see out this very potent threat. Experience and Know-How: They are two time defending champions. With their last minute entry into the playoffs, they maintain their 100 percent record in being the only team to finish in the top four in every season of the IPL thus far. In terms of playing the big matches in the IPL and winning them, they are the team with all the answers. This is when they are at their dangerous best and at times, simply unstoppable. They were not sure if they would qualify till the last moment. Somehow, the stars of fortune conspired and they find themselves in the playoffs. Now that they are here, they will try and make the most of it. MSD and knock-outs: Love him or Hate him, you simply cannot ignore the fact that things go his way in knock-outs and final like situations. He has done it time and again, and you cannot put it down to luck every time. On occasions when he has no option but to win, almost every time he wins. Stability: Chopping and Changing is a policy the India skipper doesn’t endorse. He identifies his personnel and sticks to them. He gives immense confidence to his players, who are assured that a single failure won’t cost them their place in the side. This settled environment relaxes the players and enables them to perform to the best of their ability. Home advantage: If CSK win the eliminator, they play their next game (maybe two) at home as a reward for winning the trophy last year. Apart from the initial blip early this season, the M.A.Chidambaram stadium has been their fortress. If they land there after winning the eliminator, it will take a very brave man to bet against a hat-trick of IPL wins for the men in yellow. Rusty Raina: The single most successful batsman in all IPL, Suresh Raina has been a major factor in CSK’s continued success. He has aggregated more than 400 runs in each of the previous four seasons. This year he has been a meek shadow of his former self. A firing Raina is very crucial to CSK’s fortunes and this year when he has not been at his best, it has reflected directly in CSK’s results. The Spin in the Tale: Spin has been CSK’s stronghold. That’s where their strength lies. That is what MSD is most comfortable doing. Taking the pace off the ball and strangling the opposition. Unfortunately for him, this season has not gone to plan in that sense. Ashwin has been off-color; Jakati has not done anything of substance yet. Despite reinforcing his spin options with the arrival of Jadeja, the spinners have not done the job like previous years. They need to come into their own, especially their strike bowler Ashwin, to see this one through to the end. 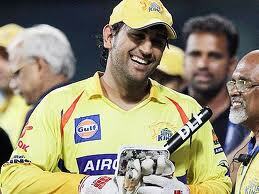 The Famed Finisher: MSD needs to find his touch with the bat and do what he does best – see off games. He becomes doubly crucial with Raina out of form. Even MSD has struggled this year and apart from a couple of substantial scores, has not been all guns blazing. He and Albie Morkel, these two blokes have to take the responsibility and provide the impetus to the innings and see it through to the end. It is what he is very accomplished at doing time and again; about time he comes back into his own. Let’s put it straight. They were on the verge of elimination. They have been literally given a new lease of life, albeit thanks to the Deccan Chargers. They have been literally handed this opportunity on a platter and they simply must take it. A hat-trick of IPL trophies awaits them. If they achieve it, they would set a record so stunning, within the first 5 years of this competition, that any other team will find it virtually impossible to replicate or break it in the future. A chance to go down in the history books doesn’t come your way very often. The CSK boys have a fabulous opportunity to create history, and they should be well up for it. Much like their play-off opponents, it’s the inconsistency, a quality that you so rarely associate with CSK that has haunted them. There have been a very few games this season where all three departments have clicked together for CSK. The top 4 need to lay the foundation, the lower order needs to finish games and the spinners need to be at their best. These 3 things have rarely happened in a single day for them this season. They need to rectify that. Every game from now on, like the previous three for them, is a knock-out. One slip up and this new lease of life will evaporate as quickly as it came. The IPL has been in the news for all the wrong reasons over the past few days. Amidst so many off the field controversies, it has been forgotten that cricket-wise, it has been the best of all the IPL’s so far. It took 71 games out of the possible 72, to determine who will make it through to the playoffs. All the teams have been fiercely competitive and most of the games have been nail-biting edge-of-the-seat finishes. All the franchisees and the players must be given due credit for the show that they have put up cricket-wise. It has been absolute fun to watch. Explosive Top Order: Sehwag, Warner, Jayawardene, Ross Taylor. It simply can’t get better than this; a superb combination of destructive fire power and class. If even one of them gets going on any given day, the Delhi juggernaut will be very hard to stop. Purple Cap: It sits pretty on the head of Morne Morkel. He has been a major factor in Delhi’s success. Fast, deadly and accurate; this IPL has seen Menacing Morne at his absolute best. The Pace Battery: They are the only team in this competition with three genuinely threatening quick bowlers in Morkel, Umesh Yadav and Varun Aaron. All three have done quite well and have looked dangerous at various stages. Spin Department: This is one area that concerns them. They lack a quality spinner. Although Nadeem started the tournament very well and Negi chipped in a few games, none of them has been consistent enough to automatically merit a place in the playing 11. Lower Middle Order: There is no doubt that DD are top heavy. Although Naman Ojha has done quite well and Irfan has played a few good shots, they have not been tested quite often. A few early wickets and the possibly fragile lower middle order could be exposed. Taylor or Russell: This will be a key selection issue. After an extended lean patch, the innings that Taylor played against RCB might just tilt the scales in his favor but Russell also showed in that same match that he can hit the ball long and hard and can be useful with the ball as well. This will be a selection dilemma for the management and it could be a decisive factor. The Daredevils clearly made the best buys at the auction and in the transfer window. It was nothing short of a coup to get Viru, Warner, KP, Ross and Jayawardene to play for the same team. They have been the most consistent team in the league and the points table will tell you as much. With probably the best batting line up and 3 of the quickest bowlers in the tournament, if they don’t win it now, I doubt they will win it ever. They have to play at least one, if not two, games at Chepauk. On that track, in those conditions, a team must have probably two good spinners. They do not even have one. Their pace battery will not be as effective on the relatively slower and lower track at Chennai. The lower order is also a weak link. The onus will therefore be on the top-order batsmen to cover up and make sure that they put a few extra runs on the board for the bowlers to defend. A few early wickets and it could mean serious trouble for the table toppers. Gauti’s Grit: The skipper is in top form. He has played some outstanding knocks and led from the front. His captaincy has been right up there too. He has shown on many occasions for India that he is a big match player. All that KKR now need from their skipper is two more of these match-winning efforts. The Man with the Mohawk: Sunil Narine’s hairstyle has caught everyone’s eye. The Mohawk looks cool. What has been cooler though has been his bowling. He has been the bowler of the tournament so far. In terms of wickets, he may be behind Morne, but in terms of delivering crucial blows and on the basis of pure impact; he wins he title hands down. Strike Bowlers Upfront and at the Death: The fact that Kallis, McCullum and Narine have played all games and will in all probability will continue to do so; combined with Shakib justifying his “best all rounder in the world” tag and ranking in the last couple of games means that Lee and/or De Lange might not make it into the 11; which implies that their fast bowling is a bit suspect. Although Balaji has done the job on a few occasions, if he has a bad day, KKR might suffer. After all Sunil Narine can bowl only four overs! Form Woes: Kallis has not had a good tournament at all by his standards, McCullum also exactly has not lit up the tournament and Yusuf Pathan has been the biggest disappointment. It is very likely that all three will feature in the playoffs and if their lean patch continues, it might just mean asking too much out of Gambhir alone. They have the opportunity to bring joy to the ‘City of Joy’ – Kolkata. It would be a sight to behold if this team can parade the IPL trophy around Kolkata in an open-roof bus. They could instantly become the heartthrobs and darlings of the passionate and wonderful people of PaschimBanga. And of course, it would also mean that next year’s IPL final would be played at the Eden Gardens. Now what a sight that would be! What a grand setting for the IPL finale! At the biggest stage of them all! Isn’t this motivation enough? And also, it would be a great sight to see SRK dance and celebrate the victory with his boys. He has been a charismatic and supportive owner and it would be great if his team can deliver on his promise of winning the IPL to the people of Kolkata. So far KKR have done the korbo, they have done a lot of lorbo. Now they finally have the opportunity to do the jeetbo! Can they do it? Time will tell. With Kallis, McCullum and Yusuf out of form, Gambhir’s will be the prized scalp. If these three don’t find their form, it would put too much pressure on the likes of Tiwary and Das. Will they be able to stand up to it? If the teams plan and execute well enough to see off Narine and also probably Shakib without losing too many wickets, they could really go after the remaining 12 overs. A couple of players really need to put their hand up and support the guys in form. Otherwise, it might again be a case of so close, yet so far for the Knight Riders.